Vital MX: It's just a few weeks before Anaheim 1 and once again KTM has their newest Factory Edition 450 SX-F ready to roll out. This year's version host more added hard parts than in years past such as KTM's own billet orange triple clamps, billet orange hubs with D.I.D rims, a semi-floating front brake disc, start device, composite skidplate and other orange goodies...along with the usual Red Bull KTM factory graphics and seat cover treatment. The press release also states there have been engine and suspension upgrades, but no details on the exact changes are given. Scroll below for the official PR. 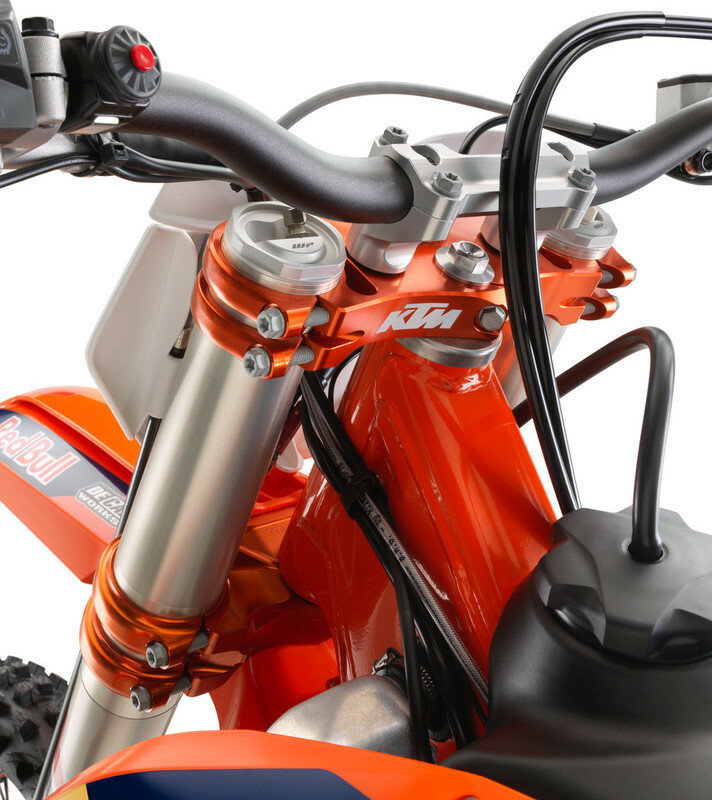 MURRIETA, Calif. – As the world anticipates the start of the 2019 AMA Supercross Championship on January 5, KTM North America, Inc. is pleased to announce its KTM 450 SX-F FACTORY EDITION MY19 – the pinnacle of KTM’s motocross line. The latest model offers a host of upgrades over the standard machine with technology and equipment that make the machine as factory as it gets. 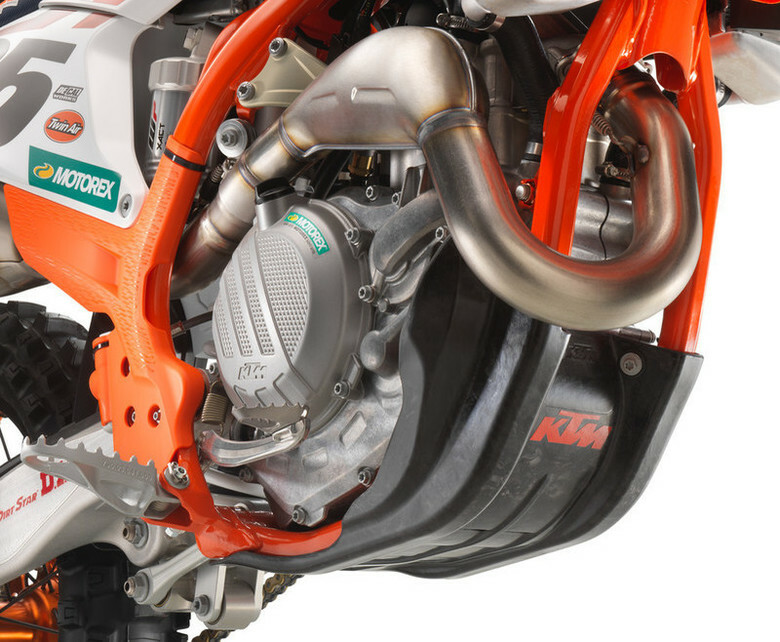 With KTM’s incredible success in the Supercross and Motocross Championships around the world, the KTM 450 SX-F FACTORY EDITION is a performance driven five-speed model that is only produced in limited quantities for certain markets. 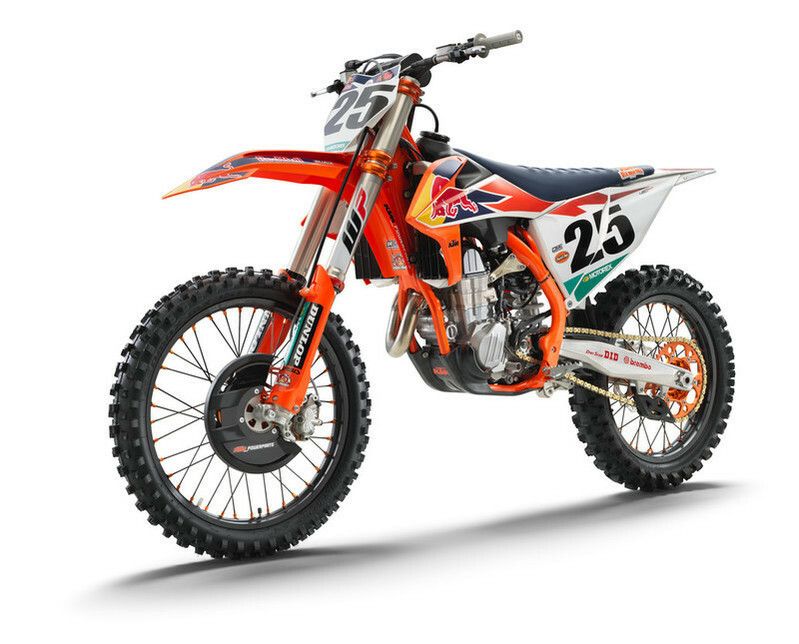 The latest 2019 model forms the base of the machines that will be raced by Red Bull KTM Factory Racing’s Marvin Musquin and Cooper Webb in the upcoming AMA 450SX and 450MX Championships. Thanks to the Austrian brand’s racing passion and expertise, this limited-edition model is created to be one of the most READY TO RACE machines available from KTM. With racing at the heart of KTM, this model is the sharpest weapon in the toughest racing arenas and the 2019 FACTORY EDITION provides performance-enhancing features such as an Akrapovič Slip-on silencer, orange anodized Factory triple clamps, Factory wheels with D.I.D. Dirt Star rims, a Factory start for the fork and a composite skid plate. 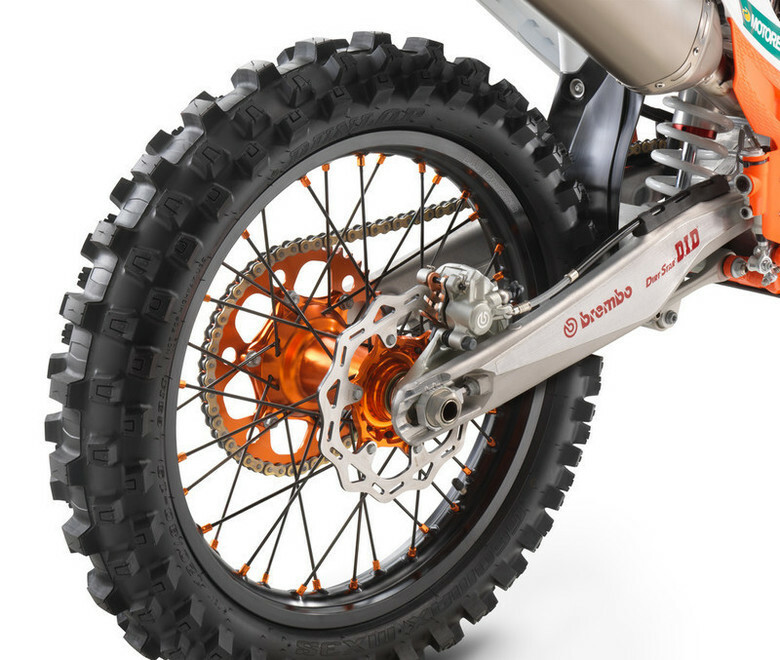 In addition, the bike has a semi-floating front disc, front brake disc guard, and an orange rear sprocket. KTM expects nothing less than victory with the KTM 450 SX-F FACTORY EDITION for its athletes and for those who choose to race it. Long headpipe, no frame brace. Still no Cone Valves or 52's. Drool worthy. State of the Art. They didn't do one last year either, they don't sell nearly as well as the 450s. Oh man, I didn't even pay attention to that last year. Team Mexico had these clamps on their bikes at the MXdN. I took some photos and could never find what they were. Now I know.